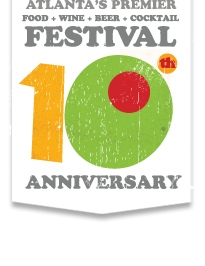 The Music Festival is back for 2011 and better than ever! $5 at the gate per day gets you a full day of music on the MAIN STAGE, a local BATTLE OF THE BANDS on Saturday, the BREAKOFF BATTLE ROYALE on Sunday, a Kids Area with rides and bounce houses, and an assortment of local merchants and food vendors through 6 PM. Atlanta’s favorite family Halloween festival returns at Boo at the Zoo presented by Xfinity, Saturdays and Sundays, October 22, 23, 29 and 30. Guests will enjoy sampling sweet treats along magical pathways while meeting a whimsical cast of costumed characters. Kids of all ages can explore an all-new expanded hay maze presented by Mitcham Farms. Older children will appreciate a visit to a new spooky safari outpost inhabited by an eccentric ranger and his creepy collection of relics. Other highlights will include rides on the Candy Express Zoo Train; costume contests; Halloween dance tunes by Little Beat Music; and games at the Zoo Boo Town carnival. Three of the Zoo’s most beloved great ape youngsters also observe birthdays during Boo at the Zoo. Boo-goers are invited to join in festivities for Dumadi the Sumatran orangutan this Saturday the 22nd; celebrate gorilla twins Kali and Kazi on Sunday, October 30. Guests recycling cell phones during Boo at the Zoo will receive special treats at the Willie B. Gorilla Conservation Center; proceeds from cell phone recycling benefit gorillas and their habitats in the wild through the Zoo’s partner in conservation, the Dian Fossey Gorilla Fund International. Costumes are welcome and encouraged. 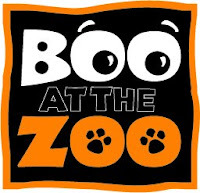 Boo at the Zoo is free for Zoo Atlanta Members and children under 3; free with general admission. Visit zooatlanta.org for more information, and check the Zoo map on the day of the event for a full listing of activities, times and locations. After a decade of bringing together the city’s best restaurants for Atlanta’s premier foodie event, Taste of Atlanta announces its return to Tech Square in Midtown on Saturday, October 22 and Sunday, October 23, 2011. Taste of Atlanta will continue to feature a diverse selection of the finest fare from the food capital of the South; and this year, in honor of its 10-year milestone, the festival will also serve up several new additions to its event line-up. Throughout the weekend, guests of all ages and levels of culinary expertise will enjoy an extensive selection of the best offerings in food, wine, beer and cocktails – along with engaging chef demos, specialty food and beverage tents and other family-friendly activities. Gold Rush Days are held October 15th-16th, 2011when thousands come to see fall colors peaking and celebrate Dahlonega's 1828 discovery of gold. Over 300 art and craft exhibitors gather around the Public Square and Historic District in support of this annual event, and it is estimated that a crowd of over 200,000 visit over the weekend to join in the fun and excitement! 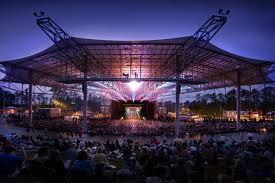 It has been voted one of the Top 20 Events in the southeast by the Southeast Tourism Society. 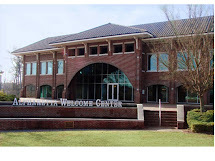 Included in the two day event are a parade, children's activities, a fashion show, gold panning contest, wheelbarrow race, King and Queen Coronation, hog calling, buck dancing contest, gospel singing and other live entertainment, wrist wrestling, and last but not least – some delicious food! Friday night streets close @ 6:00 and don't reopen until 6:00 Sunday night. Gold Rush Days are held the third weekend in October (the 15th and 16th for 2011), when thousands come to see fall colors peaking and celebrate Dahlonega's 1828 discovery of gold. Over 300 art and craft exhibitors gather around the Public Square and Historic District in support of this annual event, and it is estimated that a crowd of over 200,000 visit over the weekend to join in the fun and excitement! to send shivers down your spine!!! The house opens around dark. From Ga. 400 Take Exit 7(Holcomb Bridge Rd.) West to Hwy 9(Alpharetta Hwy) turn right onto Alpharetta Hwy/Ga 120/Ga 9. You can't miss it, just listen for the screams of fright! Hwy) turn right onto Alpharetta Hwy/Ga 120/Ga 9. 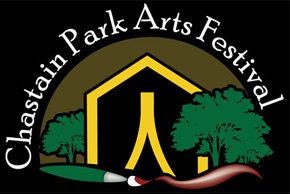 The 2011 Chastain Park Arts Festival will be held November 5 - 6, 2011 in Atlanta, GA. 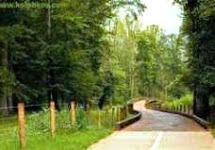 The Chastain Park area is rich with one of the largest and most enthusiastic art buying communities in the Atlanta area. This inaugural event will feature approximately 100 fine painters, photographers, sculptors, leather and metal craftpersons, glass blowers, jewelers and more! The Festival will also offer visitors the opportunity to view artist demonstrations, enjoy live entertainment, participate in hands-on arts activities, and enjoy festival foods and beverages.